Dental implants are the strongest, most reliable tooth replacement solution available. Inserted directly into the jawbone, an implant serves to replace your tooth’s missing root, providing a variety of functional and aesthetic benefits. Dr. Gerald Marlin is one of the most revered and recognized implant specialists in the Washington D.C. area and beyond. He has personally developed ground-breaking advances in implantology and has surgically placed and restored more than 3,000 dental implants. If you are missing one or more teeth, you need a reliable restoration option and a proven dentist you can trust to provide you with the exceptional care and results you deserve. We at Prosthetic Dentistry of Washington D.C., look forward to hearing from you, today, at 202-244-2101 to schedule your initial evaluation. You will be delighted that you sought the opinion of such an experienced implant and cosmetic specialist as Dr. Gerald Marlin. We serve patients from Washington D.C., Bethesda, Chevy Chase, Potomac, Rockville, Alexandria, Arlington and other nearby areas. Why Choose Dr. Marlin for Your Dental Implants? Dental implants are designed to provide a permanent base for replacement teeth that function, look and feel just like natural teeth. With their high predictability and success rates, dental implants are an excellent option for tooth replacement. If you have lost teeth, dental implants will give you the ability to eat all of your favorite foods and smile with the confidence of knowing that your teeth appear natural. Furthermore, dental implants not only replace your missing teeth, they help preserve your jawbone, providing you with many more years of good dental health. Dental implants are the best way to replace lost teeth; they are permanent, easy to take care of and can last a lifetime. Dental implants have been proven to be successful in more than 97% of cases. 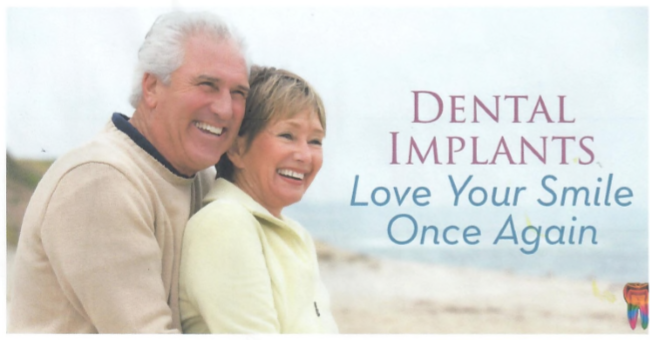 There are a variety of dental implant options. Dr. Marlin will work closely with you to determine which option best suits your dental needs, goals and budget. During your consultation, he will take the time to answer all of your questions and carefully explain each of your treatment options. 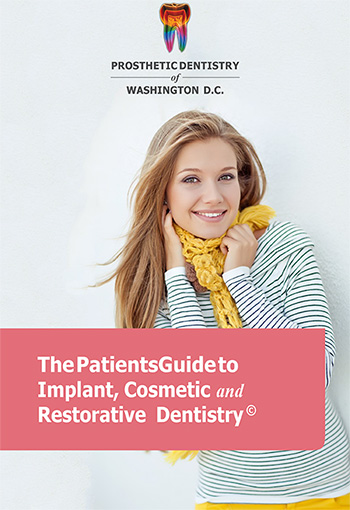 At Prosthetic Dentistry of Washington D.C., we firmly believe in patient education and helping you make informed decisions about your dental care. Without a surgical guide using operator judgment for its placement. Using a laboratory fabricated surgical guide for greater precision. Using a CT scan generated surgical guide whereby the implant is first virtually “placed” in the best position on a CT scan, then fabricating the guide for replicating that “surgical placement”. By far, the most accurate planning and implant insertion method entails the use of the CT scan generated surgical guide, which fosters the best aesthetics, function, and longevity of the implant. The thought of losing a front tooth can be very frightening, and replacing that tooth with an implant and crown is one of the most challenging areas of restorative dentistry. If that implant is not ideally placed, the overlying crown can be unaesthetic. However, with careful planning and delivery, Dr. Marlin can replace your missing tooth with a “simply radiant, simply natural” crown seated on an abutment installed on the implant. We custom-fabricate the abutment and make sure that the internal color of the crown itself is made with enough translucencies to match your adjacent teeth. In addition to being an exceptional tooth replacement device, the single implant, as a replacement root, helps to prevent bone loss and further risk to your overall oral health. During your initial implant evaluation, Dr. Marlin will you with an overview of your treatment options, and, at your consultation visit after he has had a chance to thoroughly evaluate your situation, he will help you choose the best restoration solution for your unique needs. There are a myriad of dental implant options to suit virtually any tooth-replacement need. In many cases, there is more than one treatment option for you to consider. Following a detailed analysis, Dr. Marlin will thoroughly explain the pros and cons of each of the options best suited for your unique situation. He will help to set realistic expectations and answer all of your questions. Immediate Load Fixed Hybrid Prosthesis: Implants can be inserted, bone grafts can be placed and your denture can be retrofitted to the implant fixtures to create a screw-down prosthesis. After four to six months, the final prosthesis is fabricated. It provides a full arch fixed appliance with significantly reduced costs. Full Arch Screw-Retained, Porcelain Crown and Bridge Splint: This is the most aesthetically and functionally natural appliance, and another version of the Immediate Load Fixed Hybrid Prosthesis and is also screwed into the implants. It is as if you have grown new teeth! However, it is also the most expensive of the appliances. 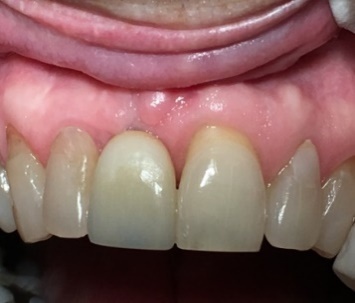 Approximately four to six months after the insertion of the Immediate Load Transitional Prosthesis, the Full Arch Screw-Retained, Porcelain Crown and Bridge Splint is created by baking porcelain over a special framework. Six Unit Anterior Crown and Bridge Splint with a Precision Partial Denture: Some patients don’t have adequate bone in the back of their jaws for implants. Do not despair. This appliance is an aesthetic alternative to the Immediate Load Fixed Hybrid Prosthesis and also provides you with stable back teeth for chewing. Implant-Supported Overdenture: This is the least expensive of the implant treatment options, but it is also very stable. However, since it is a removable appliance, it may feel more like a denture, which makes it less popular today than the Hybrid prosthesis. With more than four decades of experience, Dr. Marlin will determine which full arch implant options are best suited for your unique situation. He will answer your questions, address your concerns and develop a treatment that is customized just for you. There are many other one-day implant treatment offerings of a full arch of replacement teeth. To avoid confusion, we group all of these variations of the same therapy together via our own term, “Same-day Implants and Prosthesis” with the qualifier that we believe in bone preservation, whereas the above techniques are uniformly based upon bone reduction. We will discuss the pros and cons of the treatment, along with any alternative treatment plans at your consultation. Contact us today to schedule your initial consultation. When multiple teeth are missing, dental implants can be used to reconstruct jaw segments or even a whole jaw. As such, they replace teeth that have been lost to decay, fracture, root canal failure or other causes. The resulting rejuvenation dramatically returns you to a younger, natural-looking smile with complete function. This is quite exciting. In some cases, a person missing all of his or her teeth in one jaw can be rejuvenated with a full complement of teeth that are affixed into place over the implants. 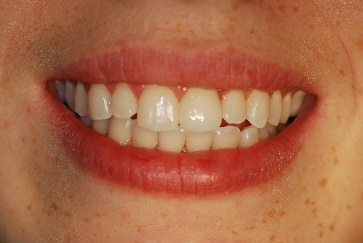 A fixed bridge is made to fit over natural teeth and dental implants. It is permanently cemented in place, providing you with a secure, rejuvenated jaw with new teeth. Dental implants come in different varieties, one of which is the mini implant. As the name implies, these implants are smaller than traditional implants, and can be used in areas not accessible with traditional restorations or to support a less costly prosthesis. Since mini dental implants require less bone than traditional implants, many people who are not candidates for traditional implants due to insufficient bone may be candidates for the mini implants. They can either serve as permanent implants or as interim ones to hold and stabilize a denture while the bone is being rebuilt by grafting. Depending upon the situation or the type of prosthesis seated on them, mini implants can be less costly than traditional implants, when used to stabilize final dentures. Since they are immediately loaded, mini implants provide instant stability to the denture prosthesis. 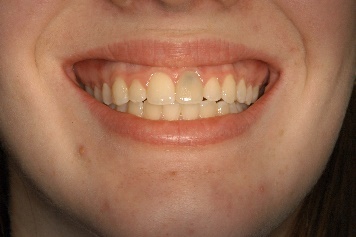 Unfortunately, we have had patients who come to us with failing mini implants because they were restored with crowns. Mini implants are absolutely not intended to support individual crowns (caps), but if you are missing several teeth, they can be used to stabilize an overdenture. Dr. Marlin will discuss which implant options are best suited for your unique needs during your initial consultation. 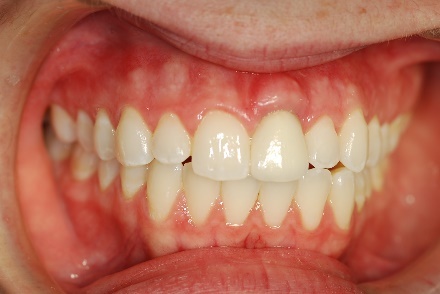 Bone loss is usually the result of chronic periodontitis or unaddressed tooth loss. In cases of periodontitis, bacteria slowly erode the ligaments connecting your tooth to the bone, as well as the underlying jawbone itself. However, bone loss is most often the result of unaddressed tooth loss, particularly in cases of multiple missing teeth that are not replaced. The stimulus and pressure of chewing naturally on tooth or titanium (implant) roots preserves your jawbone. When tooth loss prohibits this natural function, the bone resorbs into your body. Twenty-five percent of bone tissue in the jaw is lost during the first year following tooth loss, and it only gets worse. In situations where bone has already diminished significantly, bone grafting may be required to provide enough bone for the placement of a dental implant. Bone grafts not only replace lost bone, they serve as a matrix for your jawbone to grow new, healthy bone, and, ultimately, replace the “graft bone” with your body’s bone. However, without replacement implant “roots” being inserted in the grafted area, the grafted bone will eventually resorb. Dr. Marlin has helped thousands of patients achieve and maintain optimal oral health. He will carefully evaluate your unique situation and develop a customized treatment plan tailored to your specific needs. Dr. Marlin is committed to providing exceptional, individualized dental care to every patient at Prosthetic Dentistry of Washington D.C. The first step toward your new, rejuvenated smile begins with an initial dental implant evaluation. These consultation visits are expressly designed to address your unique needs and considerations. To begin your evaluation, Dr. Marlin will review your health history and ask you to undergo a dental/radiographic examination. In select situations, we may also request a dental CT scan. 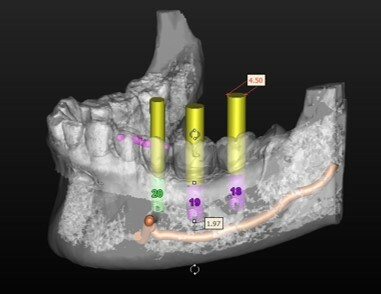 With the aid of a computer tomography program, we can evaluate your jaw in three-dimensional digital imaging for precise preoperative planning. As a part of that planning, “virtual” implants are “inserted” on the CT scan prior to the actual surgery in the exact places for the best aesthetics, function, and long term prognosis. Based on the results of these diagnostic tools, Dr. Marlin will thoroughly explain all of your treatment options. We understand that you will likely have questions and concerns regarding your treatment. We will do everything possible to ensure your questions are answered, your concerns are addressed and you have all of the information you need to make an informed decision about your treatment. Our team will work diligently with you to help make your procedure a success. When it Comes to Dentistry, You Have A Lot Options. Make The Informed Decision with The PatientsGuide. Sign Up For Our Mailing List to Receive Your Free Copy! Dental implant placement typically involves two surgical procedures. In the first procedure, the dental implants are surgically implanted into your jawbone. They remain beneath the surface of your gums, as they gradually bond with your jawbone, for the first three to six months following surgery. You will be able to wear a removable prosthesis as a tooth replacement device during this time. Once the implants have successfully bonded to your jawbone, the second phase of your treatment begins. 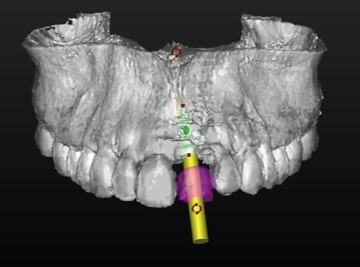 The dental implants will be uncovered and healing abutments will be connected to the implants. Dr. Marlin can then begin to make your new teeth. First, an impression is taken. Then, final implant abutments (posts) or attachments can be connected to the dental implants. The replacement teeth are then made over the posts or attachments by our in-house laboratory. The full process usually takes six to eight months. In select cases, the second stage surgery, when the healing abutments are inserted, can be combined with the implant insertion phase, thereby decreasing the treatment time. In these cases, the dental implant can be inserted and loaded with its abutment and temporary crown in a single surgical procedure. There are very specific requirements for achieving the best prognosis in these cases. 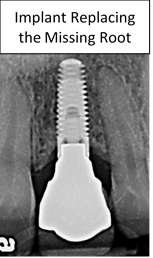 Dr. Marlin will assess whether you are a candidate for this single stage implant and discuss it with you during your evaluation. Too frequently, this step is inappropriately performed, when a two-stage process is appropriate. When it comes to the surgical placement and restoration of dental implants, Dr. Marlin isn’t just one of the most trusted and experienced specialists in the Washington D.C. area. He is a nationally-recognized authority in the field of prosthetic dentistry. Dr. Marlin can help you get the healthy, natural-looking smile you deserve by working closely with you to develop a customized treatment plan. Dr. Marlin sees you as much more than just a set of teeth. He treats every patient with the care and compassion he would give to a family member. You will never feel rushed, pressured or like just another appointment at Prosthetic Dentistry of Washington D.C. If you live in the Washington D.C., Bethesda or Arlington areas and are missing one tooth or multiple teeth, contact Prosthetic Dentistry of Washington D.C. today.